* This story has been updated to include comment from the U.S. Department of Health and Human Services. The federal government has removed all children from the Tornillo detention center for undocumented migrant youths, ending more than half a year of operation for a facility that was decried by critics as a "tent city" and served as a symbol of President Donald Trump's hardline approach to immigration. 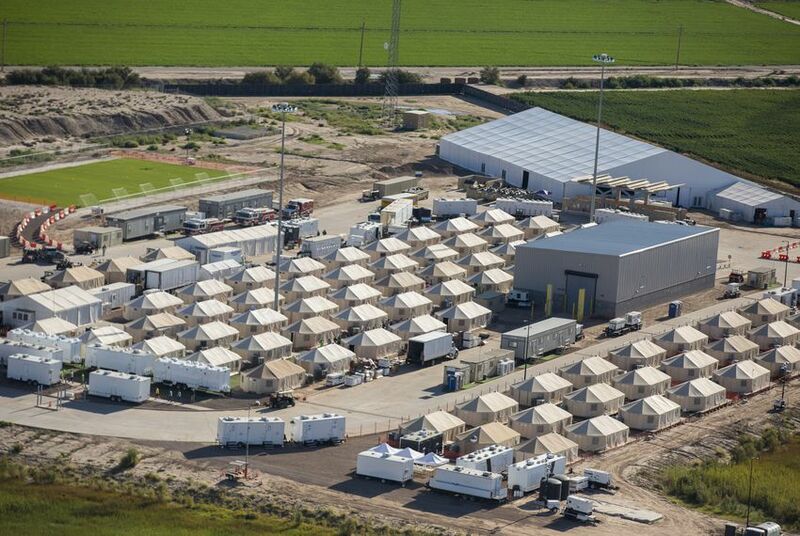 Lynn Johnson, assistant secretary of the Administration for Children and Families within the U.S. Department of Health and Human Services, said Friday that all unaccompanied children sheltered at Tornillo "have been either released to an appropriate sponsor or transferred to other shelters throughout our network of care providers." U.S. Rep. Will Hurd, a Republican whose West Texas district includes Tornillo, had prevoiusly announced the closure on Twitter, saying he had been told about it by the facility's management.